The Southwest 1380 engine incident brought to the surface a festering problem that has plagued aircraft in service and deliveries. On the current pace, however, it only seems clear that the industry is heading for a crisis. 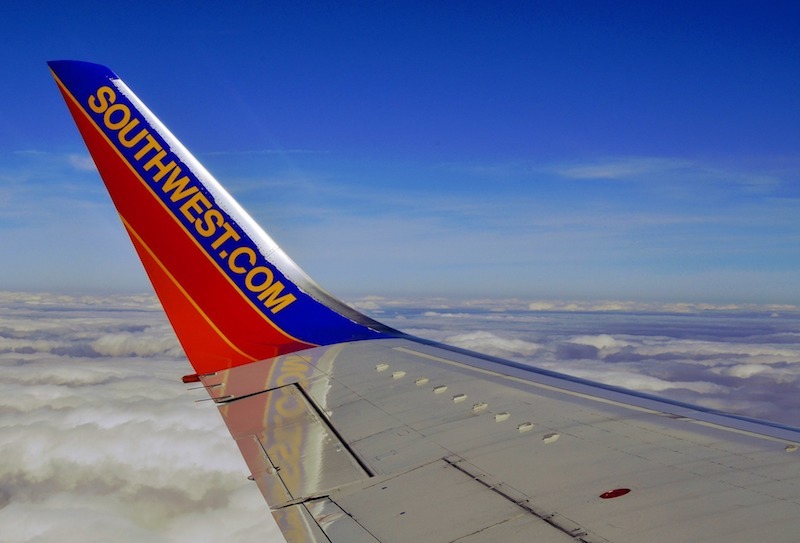 A few weeks ago, Southwest 1380 experienced an uncontained engine failure due to metal fatigue in a fan blade of the aircraft’s CFM56-7B engine. While Southwest has many 737-700 or NG (next generation) their fleet doesn’t come close to the amount out in the world for other carriers as there are more than 8,000 of these power plants deployed worldwide. It is, however, a substantial portion of the Southwest fleet, some 513 of 721 aircraft are 737-700s and may be subject to examination. Jon Ostrower suggests that the number of affected aircraft could be as high as “more than 12,000 engine cowling and inlet structures flying today on Boeing 737s around the world” meaning that approximately 6,000 aircraft could be taken out of service for examination and replacement parts. As Ostrower points out, this is not the first time it has happened to Southwest with an incident near Pensacola, FL in 2016 on flight 3472. But it’s not just the 737-NG series that is at risk of engine trouble. There are a number of existing engine issues that need to be examined. It’s possible to draw the conclusion that as a whole the engine community is on a terrible path that could greatly affect manufacturers, carriers, safety, and passengers. Outside of the Southwest incident, another aircraft recently had an engine cowling event as well. A United 777-200 on final approach to Honolulu lost an engine cowling as well. The aircraft landed without incident and while the type was different as was the problem itself, the incident suggests to me that the engine around engines and cowling structural integrity may not be limited to 737-NGs. The shift that has some concerned involves the manufacturing process using new composite materials. Are the same rigid safety features in place that were there 30-40 years ago? Perhaps protocols are just as stringent, after all, these events are limited and rare. It was a fan disc failure causing a catastrophic failure that was uncontained by the rear cowling that brought down United 232, a DC-10 that crashed in Sioux City, IA in 1989 so this problem is in no way a new concern. But while it was also a fracture in 232’s fan disc that caused the catastrophic failure, the problem was visible – these fractures are not – and that should be far more troubling to the wider traveling public. Airbus has been stacking A320s, as Seth mentioned in the podcast, making them gliders (engine-less A320s). The engine troubles appear to be widespread affecting in-service aircraft in Nepal, and India and China – though some feel that in China it is more of a business diplomacy issue than a safety concern. In the case of India, the issue is related to Pratt & Whitney P1100 engines. For the A320 NEO (New Engine Option), which delivers a 15% fuel efficiency over current engine options (CEO), the delays are affecting profitability. Airbus was only able to deliver 121 aircraft in the first quarter, on pace for less than 500 for the year vs. the forecasted 800. Safran, one of the CFM engine manufacturer partners cautioned against any increases in output – the problem isn’t getting better any time soon. The new engine issues are twofold and they compound on top of each other. New engine deliveries are delayed and holding back production, while in-service models are being taken out of service for both reliability concerns and potential structural problems if the issue is wider spread. Boeing has had similar issues outside of the 737. The manufacturer’s 787, which was plagued by problems with their lithium-ion batteries on an initial release, has had numerous problems with their Rolls Royce Trent 1000 engines. The US FAA (which controls any US-registered aircraft) has restricted ETOPs (Extended Over Water Operations) for the engine type. This is the last thing that the aircraft needed as they continue to win business away from the A330 NEO. Hawaiian Airlines recently dropped the A330 orders they held and are behind on receiving their A320-NEO aircraft. The smaller A320s had been intended to fly across the Pacific to the US mainland to better compete with carriers offering more flights and destinations on smaller, more fuel-efficient aircraft. They opted for the 787 instead to grow their widebody fleet when they begin receiving deliveries in 2021. As you might suspect, they opted for the General Electric engine option instead of Rolls Royce Trent 1000, Rolls Royce Trest 7000 is the only option for the A330 NEO. Rolls Royce appears to be a common thread in troubled new engine deliveries. The Dots, Lines and Destinations Podcast made some interesting insights. Foz, a former contributor to UPGRD.com (where Matthew and I both spent the formative years of our blogging) suggested that the cowling should have contained the engine explosion. But in the case of Southwest 1380, that didn’t happen and what impacted the window, costing a mother her life, was a piece of the cowling itself. While a specific type of fan blade is currently the target of an AD (Airworthiness Directive) – a mandatory inspection before any of the blades can be used in flight – the implications could be far broader than just the fan blades on a single aircraft type (737-NG). New materials were used to make the engine (CFM56-7B) and I fear it may have broader implications. Turning to the Airbus NEO engines, they use the same type of composite materials. Seth, in the podcast, mentioned that Qatar rejected a new delivery because the engines various composite metals were cooling at different temperatures, extending engine start-up time from a few seconds to several minutes. In the hot, high climate of Doha delays due to spool up time could be costly. While the title of this post is intentionally overly dramatic (any time that an eight-word title includes three words: impending, doom and crisis – it’s probably either intentionally dramatic or completely misled) the sentiment is that of a collision course that the engine industry is on. The extra examinations are not the forerunner to the collapse of aviation, but they do shed light on a potential issue that affects more than 10,000 in-service examples. If those examinations then extended to Airbus models made in the same way and material as the Boeing equipment, traffic would undoubtedly experience immediate limitations. When coupled with the fact that most new engines are made with composite materials as are their cowlings which also appear to be susceptible then the problem is compounded. When new delivery schedules are delayed (so the aircraft in-service cannot be immediately replaced) then you have the potential for a dramatic problem. If there is a recall on Romaine lettuce (for any reason), then on the plastic bags they come in, and at the same time unrelated to those two issues, farmers are having a harder time turning out new Romaine lettuce heads, it would stand to reason that a Caeser salad could be hard to come by. It would also be reasonable to assume that ancillary aspects of that same market would be affected. This section could just as easily be named “Pure Speculation”. While composite engine delivery delays could be blamed on any number of factors, as a result of Southwest 1380 and new scrutiny on the engines I believe that the problem could get worse before it gets better. Engine companies are responsible for losses incurred by both aircraft manufacturers as shipment delays impact their business, as well as for the airlines themselves once in service. While Rolls Royce, Pratt & Whitney and GE are massive companies, many of which with business interests outside of aircraft power plants, the shuttering of any one of these businesses could exasperate the problem. While it seems a million miles away now, the losses can’t be sustained indefinitely and as this affects not only new engines but also potentially in-service engines, the future seems unstable at best. With more aircraft in the air than ever before, and as the market continues to grow (especially with the replacement of older, less fuel-efficient aircraft as oil prices begin to rise) – it seems all but certain to doom the airline business. What do you think? Is there a reasonable cause for concern or am I just blowing a lot of… hot air? WOW…how on earth are you allowed to write on a public forum? I’m an airline pilot by the way. Jeezzz you’re a sensational idio* with little knowledge. They’ll let anybody write a blog these days. As you note, it might be better to title this post “pure speculation.” There isn’t a whole lot more here than conjecture and an attempt to correlate disparate, unrelated facts. I think a consequence might be instilling unfounded fear in a less-informed reader, and I doubt that is your aim. Gene, I appreciate the feedback, perhaps pure speculation should have been at the top. I added a new section to tie-in the aspects a little better. However, I also have a great deal of faith in our readership, and feel they will be able to evaluate the information and the correlating links drawing their own conclusions. Read through the whole thing, but couldn’t grasp tge point(s) you were trying to make. The engine business is complex. I think a little more research and fact checking needed for your statements. Example..the Souix City crash was the result of a fan DISK failure, not a blade. Get some aviation (or better yet engine) experts to peer review before launching to the masses. Each of these issues you discuss can be boiled down further, and they are being managed by professionals whom have to follow FAA/EASA regulations. The title and tone of the article promotes fear of the risks that have always existed, without crediting processes that are designed to manage them. Asparago, I have corrected the 232 cause though the uncontained catastrophic failure would have been a negligible problem had the cowling contained the failure. If the failure had been contained there would have been no effect on the hydraulics which was the real reason that the crash occurred instead of a simple emergency landing. Like I mention in the post, the fan blade was certainly the initial cause of the issue with Southwest 1380, but had it been contained inside the cowling, the passenger would still be alive today. It’s an engine and a cowling problem. Kind of agree with the above. Your writing is usually right to the point but I had a hard time following this one. Complex subject for sure, but I feel not much more knowledgable now.